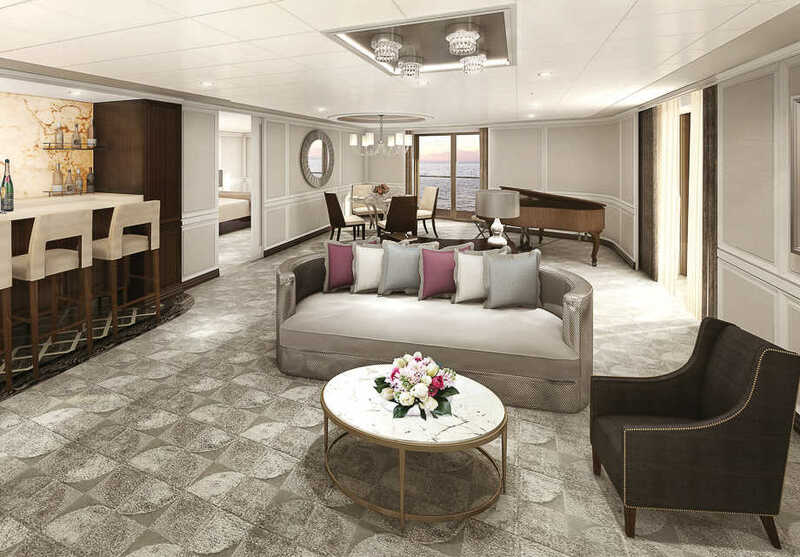 Christened by Her Serene Highness Princess Charlene of Monaco, the Regent Seven Seas Explorer is distinctly regal in design and ambience, with glamorous restaurants, chic lounges and a magnificent theatre. 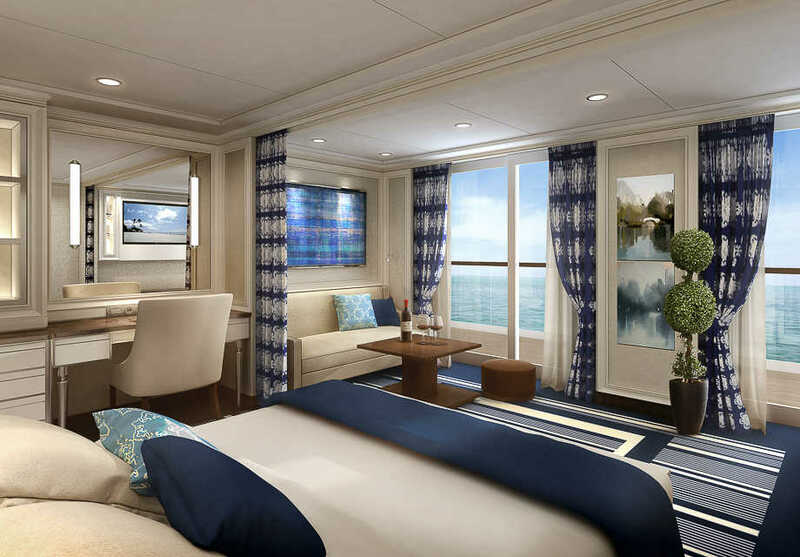 Offering Regent Seven Seas Cruises' signature all-inclusive plan, guests will find daytime activities, fine dining, and evening entertainment all included, providing a relaxed and refined cruise experience. 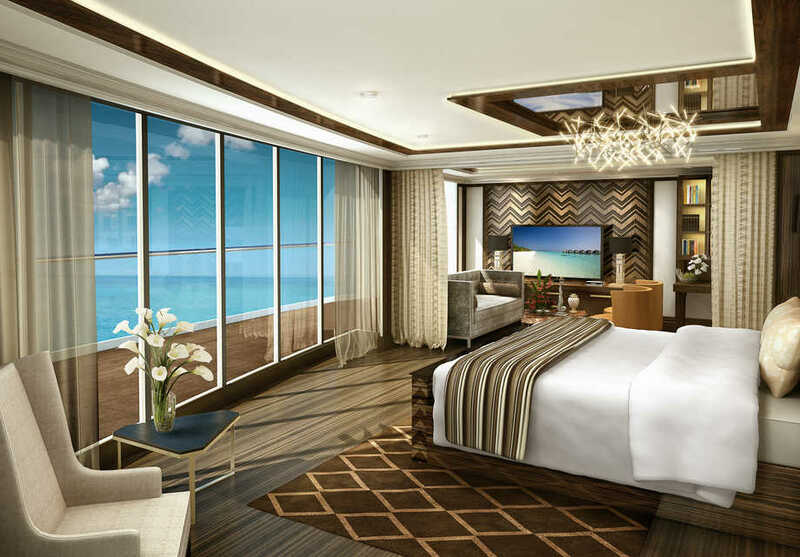 All-balcony accommodations feature custom-crafted furnishings, exquisite decor and exclusive services such as Champagne arrival, and a personal butler in select suites. With settings to suit both elegant fine dining and casual, poolside snacks, you'll find a great choice of restaurants onboard, serving a variety of cuisine. Browse designer garments and fashionable accessories in the Boutiques onboard. Sleek lounges and lively bars serve your favourite drinks, often accompanied by live music. Indulge in signature spa treatments at Canyon Ranch SpaClub®, or join in with popular fitness classes at the Fitness Centre. 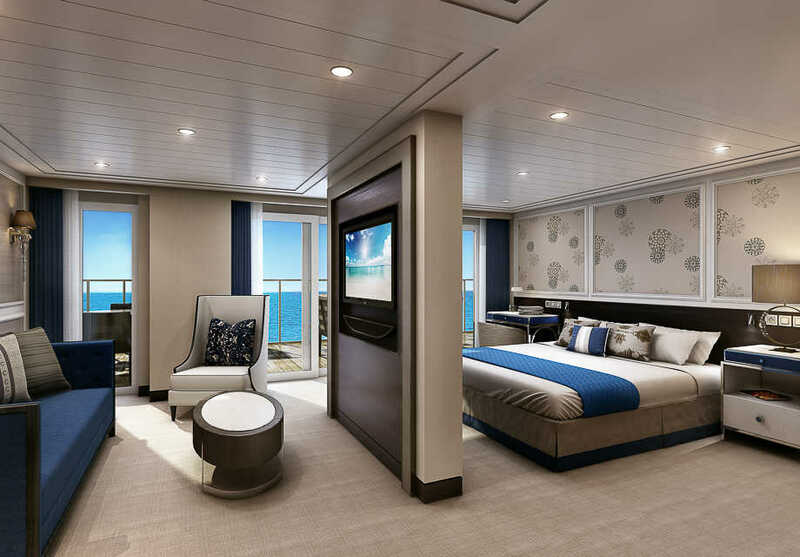 On your Regent Seven Seas ship, you'll find sports, activities, pools and games areas to keep you entertained. Mingle at the piano bar, enjoy Broadway musicals, or try your luck at the Casino with a spectacular array of evening entertainment onboard. Elegantly appointed, with relaxed arm chairs, teak tables, and golden colours, the Meridian Lounge is an expansive bar area where you'll find handcrafted cocktails, cool drinks and resident performers playing live music. Located on the Pool Deck, you'll find a swimming pool and whirlpools, surrounded by sun loungers with superb ocean views. Helpful staff are on hand to serve your refreshing drinks, or assist by providing plush towels and lounge chairs. An exclusive hideaway adorned with leather armchairs and a club-like atmosphere, the Connoisseur Club is where you can enjoy high-spirited conversation and a fine cigar. The Observation Lounge offers spectacular sweeping vistas of the ocean, complemented by an opulent indoor setting. Musicians entertain daily, while afternoon tea is served during the day, and handcrafted cocktails are on offer in the evening. Savour the culinary excellence of the Far East at Pacific Rim, a zen-like setting serving a curated menu of Pan-Asian creations. Dishes include curried seafood laksa, aromatic duck, and Korean-style BBQ lamb chops. In the evening, guests are treated to spectacular ocean views through lotus-shaped windows, a universal Asian motif. Reminiscent of Hollywood's golden age, the spectacular Constellation Theatre features table-top Murano glass lamps, swan motifs woven into the seating banquettes, and intricate ceiling architecture. Here, guests can enjoy spectacular shows and performances, including full-scale musicals and Cirque-style productions. The Explorer Lounge is a chic bar and lounge area, providing perfect evening spot to enjoy live music with familiar tunes, or simply a pre-dinner cocktail at the elegant, black marble bar. Savour rich coffees, freshly-baked pastries, gourmet sandwiches, and homemade cookies and cakes at the Café, perfect for relaxing with a newspaper or magazine. Compass Rose is a beautifully defined restaurant serving breakfast and dinner, with a curated menu of exquisite European cuisine. A casual and relaxed buffet-style restaurant, La Veranda serves breakfast and lunch, with a tempting array of international dishes on offer. Dishes include grilled lamb chops with Spanish sherry sauce, pan-sautéed Mediterranean sea bass, and home-made pizzas from the authentic pizzeria on the open-air veranda. There's a feeling of exclusivity and ultimate luxury at Prime 7, an elegant club-style restaurant serving prime steaks and delicious grills. Expect tasty cocktails and lively conversations to accompany your meal, as you recline into the leather wing-back chairs. Celebrating the beauty and glamour of the Italian Riviera, Sette Mari is adorned in rich blues and whites giving a distinctly regal feel and combines indoor and outdoor areas for al fresco dining, day or night. Tables are candlelit at dinner, perfect for a romantic evening, and dishes include homemade pasta, enticing Italian mains, and divine desserts. Learn how to prepare and create exquisite meals in a welcoming environment with professional chefs. 18 cooking stations are set up with top-of-the-range equipment, and a comprehensive collection of cooking essentials. Hands-on instruction will have you learning the skills and abilities to create delicious French, Mediterranean or Mexican cuisine, amongst others. A tranquil hub, the Library is well-stocked with books, covering everything from classic literature to destination-specific guides. The distinctive Gourmet Explorer tours offer guests the opportunity to experience the culinary culture of your ship's destinations; Whether you're learning the techniques of local cooking, browsing markets for exotic spices and rare ingredients, or sampling fine wines at the breath-taking estates and vineyards. Tours offers are tailored towards your cruise itinerary. A relaxing setting perfect for an afternoon or quiet evening of board games, socialising and unwinding. Challenge your fellow passengers to a game of Contract Bridge, or participate in an ACBL tournament on select voyages. On select ships, the Card Room may also be used to host corporate meetings and special events. A relaxing haven, specialised spa staff are on hand in the Canyon Rach SpaClub® to provide a range of treatments, including signature massages, therapeutic bodywork, and aromatherapy. Guests will also find an extraordinary selection of beauty treatments at the salon, including hair care, manicures and pedicures. Get a taste of Monte Carlo in the onboard Casino, with fantastic table games to challenge your luck, including Blackjack, roulette, poker and slot machines. The Casino is open every day at sea, when not restricted by territorial border limits. Above the Canyon Ranch SpaClub®, this state-of-the-art fitness centre features specialised equipment, including free weights, treadmills, and StairMasters. If you prefer working out as part of a group, the fitness experts also organise classes including Pilates, yoga and aerobics. Spanning Deck 12, the jogging track is a dedicated path on which you may enjoy a brisk walk, jog or run, with superb ocean views. Follow the jogging track on Deck 12, and you'll find a dedicated sports area with activities including shuffleboard, putting greens, golf nets, bocce ball and paddle tennis. The Boutiques offer a wide range of items, from designer handbags and exclusive fragrances, to gift items and resort wear. Guests may also be offered a chilled glass of Champagne to enhance your luxury shopping experience. An engaging enrichment programme led by the Smithsonian Institution; guests will receive insightful lectures, be invited to intimate group dinners, and gather for shore excursions designed for guests to learn from and share travel experiences with like-minded travellers. If you prefer to travel without your laptop, the staffed Business Centre offers desktop computers to access your emails and print items for a nominal fee. 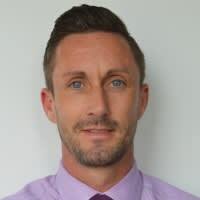 Located in the Atrium, the Destination Services team assist with all your shore excursions, whether these are select tours or a customisable Regent Choice Shore Excursions. 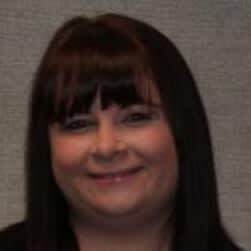 Staff will be happy to assists you with tailor-made tours, pre- and post- cruise programs, hotel stays and private excursions. 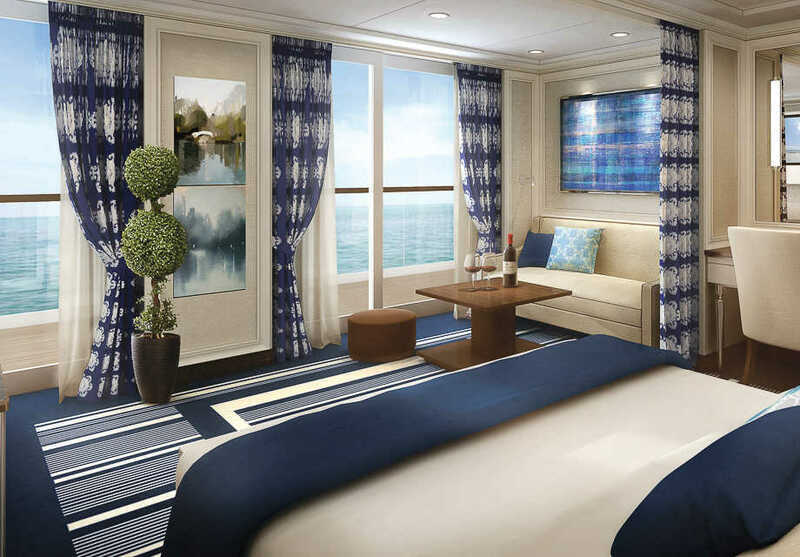 Luxury staterooms and suites are designed to maximise space, with custom-crafted furnishings, modern amenities, and 24-hour room service. Adorned in golden colours and featuring luxurious furnishings, the Regent Suite is a magnificent two bedroom suite, complete with your private spa area, a huge wrap-around balcony, and a spacious living room. Guests also benefit from premium services, such as a personal butler, airport transfers, and priority dinner reservations. 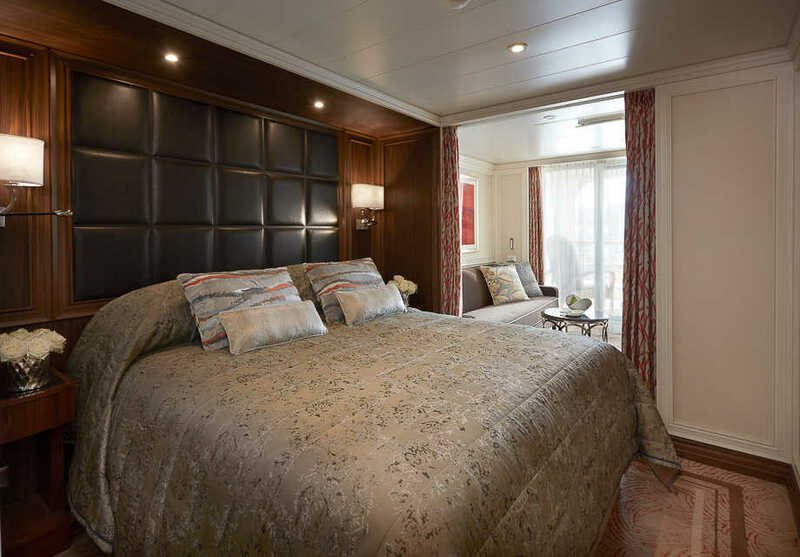 The Master Suite offers two bedrooms, each fitted with European king-size Elite Slumber beds, while two spacious bathrooms are adorned with marble and stone. 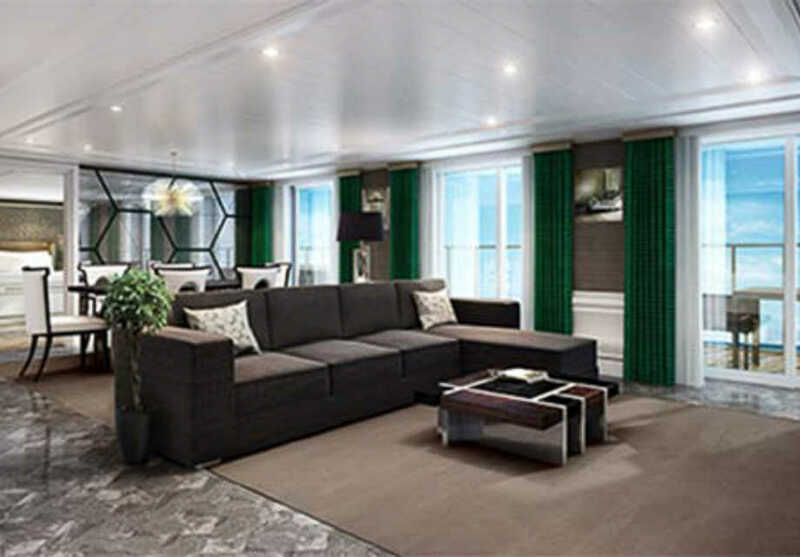 This spectacular suite is ideal for a family, and guests also benefit from premium services such as VIP status for dinner with the Captain, and cocktail party for up to 8 people. This sleek one-bedroom suite features stylish furnishings and first-class facilities, including an in-suite stocked minibar, a large walk-in closet with safe, and premium bath amenities. Services include in-suite cavlar service, a personal butler, and pressing service for your clothes on the first night. Equipped with a world atlas, a weather clock, and binoculars, this fantastic Explorer Suite provides all the modern facilities and little touches, perfect for any budding explorer! 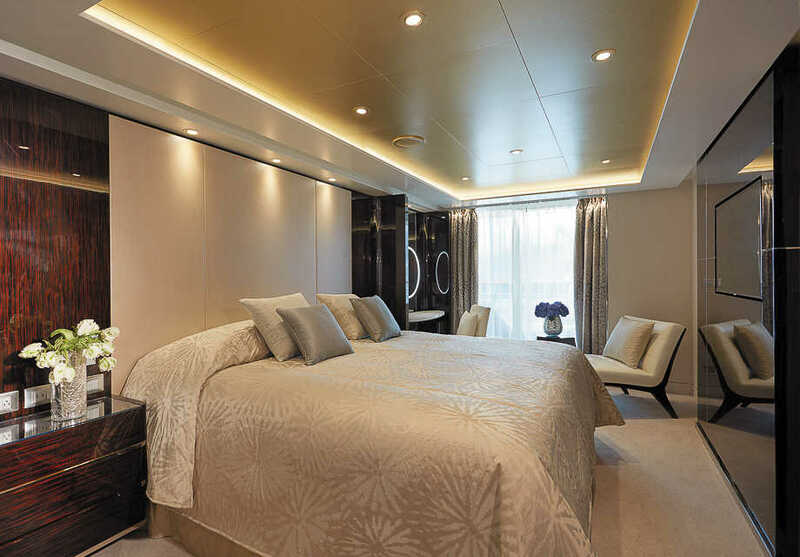 Luxurious furnishings including cashmere blankets and a huge king-size Elite Slumber bed ensure a comfortable stay onboard. 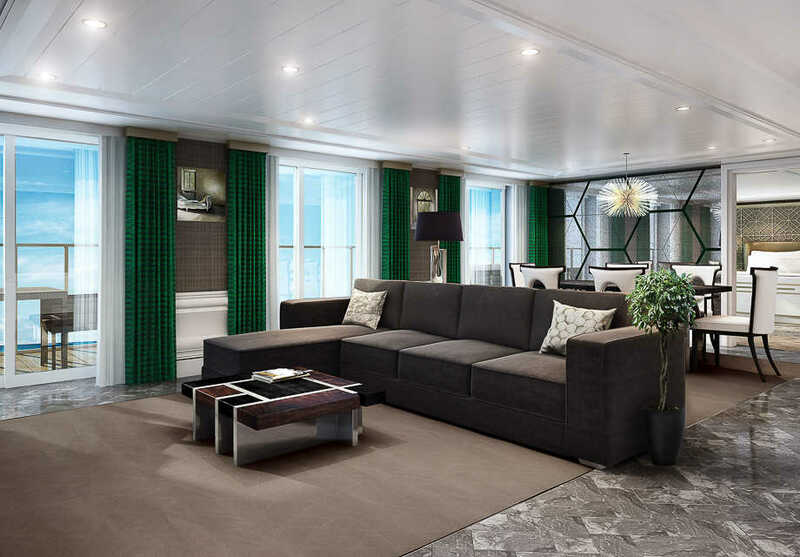 As the liner's signature suite, Seven Seas is a plush one-bedroom suite fitted with a marble and stone detailed bathroom, large living room, and a walk-in closet. Outside, a private balcony offers superb views, while premium services ensure you're well looked after throughout your stay, with daily canapés, in-suite stocked minibar and a personal butler. The elegant Penthouse Suite features a European king-size Elite Slumber bed, as well as a cosy living area and marble and stone detailed bathroom. 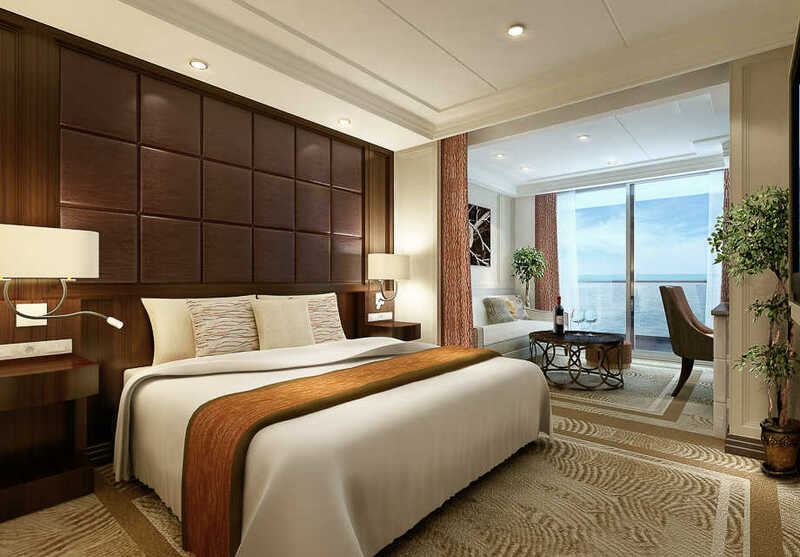 Guests will benefit from a 1-night pre-cruise hotel package which includes ground transfers, breakfast and porterage to ensure you're taken care of from start to finish. This expansive suite features a huge king-size bed, marble and stone bathroom and a living area equipped with interactive TV and media library. Guests receive exclusive discounts, with 10% off premium wine and spirits, and 5% discount on Regent Choice shore excursions. The spacious Penthouse Suite consists of a luxurious master bedroom, living area with stocked minibar and interactive TV, and a lavish marble and stone bathroom. Elegantly styled with bright décor, these superb suites combine indoor and outdoor living, offering superb ocean and sky vistas. Concierge services include a discount on shore excursions and premium beverages, as well as 1-night pre-cruise hotel package. The plush Concierge Suite is ideally suited for couples, with a large king-size bed as a centrepiece, as well as a sitting area. Concierge services include priority reservations for shore excursions, as well as 1-night pre-cruise hotel stay. Charming and welcoming, the Superior Suite includes a European king-size Elite Slumber bed as well as a marble and stone detailed bathroom and outdoor balcony. Facing the ocean and offering a superb private balcony, the Superior Suite includes a plush king-size bed and cosy sitting area. Warm tones and gold hues give a regal feel to these rooms, which include a king-size bed and sitting area, as well as private balcony. An intimate sitting area and luxurious king-size Elite Slumber bed make up this lavish room, perfect for a couple. Intimate and welcoming, the Veranda Suite offers couples a cosy living area, king-size bed and a private balcony facing the ocean.